not snow, originally uploaded by jahansell. 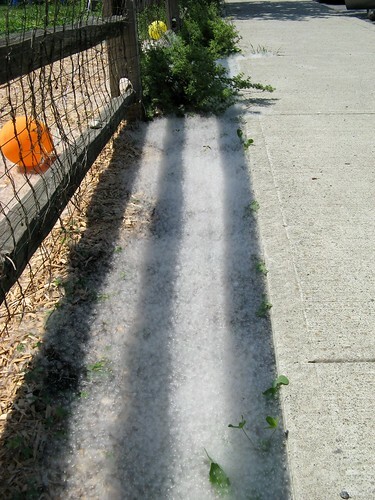 On Saturday, the air was filled with some kind of fluff from trees - it was piling up like snowdrifts in the streets! It was localized - this shot is in Millerton - and very strange! That is indeed strange!It looks like ice; I've never seen something like that before.